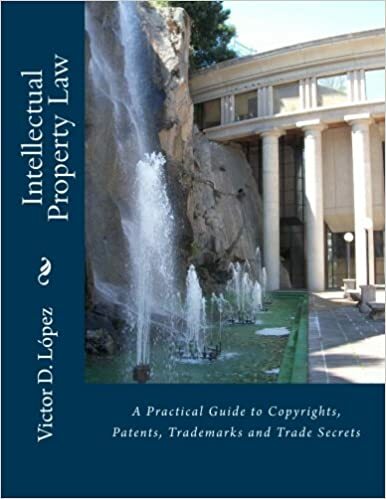 Are you an author, artist, entrepreneur, photographer, musician, inventor, or librarian interested in a quick, accurate reference guide to copyrights, patents, trademarks and trade secrets? Or are you simply an informed reader who would like to expand your knowledge about intellectual property through an accessible, brief introduction to the subject? If so, you should find my general reference book on the subject of interest. I am a tenured Professor of Legal Studies, a lawyer and the author of a half dozen textbooks on business law and the legal environment of business for traditional publishers since 1993 who has published numerous articles in law reviews and refereed journals on various areas of law. But this general reference work is specifically aimed at lay readers. I wrote it as a low-cost, accessible guide for both libraries and consumers. You can preview the book free of charge at its Amazon link below. It is available at Amazon, B&N, iBooks, OverDrive and other online retailers in both electronic and paperback versions at a very modest cost. If you're interested in learning more about me or my published works, you can visit my web page at [url]victordlopez.com[/url] or simply search for "Victor D. Lopez" in your favorite search engine. To preview the book, please visit amazon.com/gp/product/146368861X/ref=db ... bl_vppi_i0 .